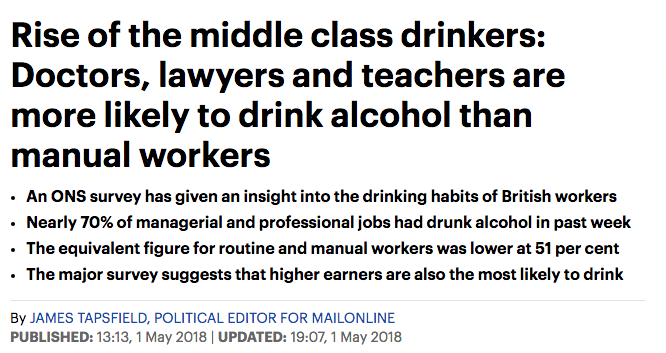 Shocking to learn that the middle-classes take more drink and drugs than the poor. 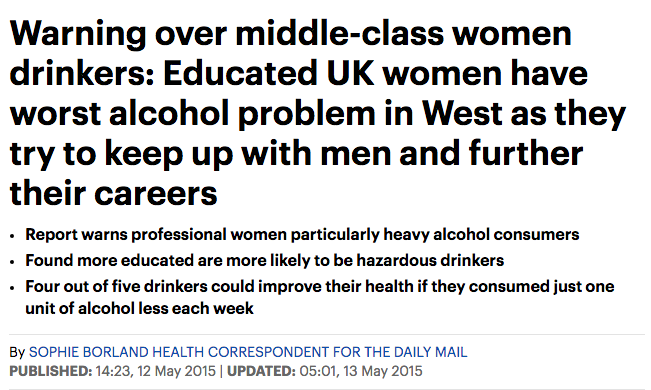 The Mail calls the report by the Social Metric Commission a “landmark” finding. 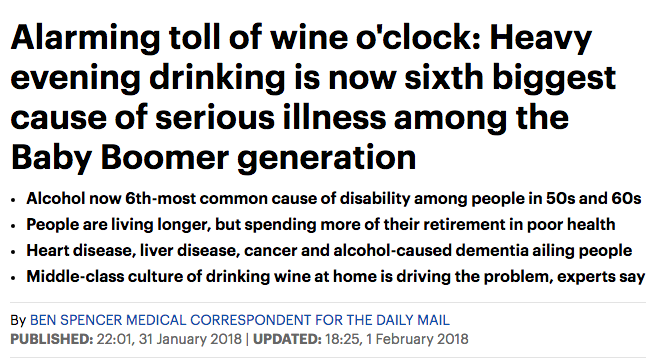 Having discovered that people with more money and leisure time use more mind-altering substances than those with less money, we wonder what else the Mail has revealed? 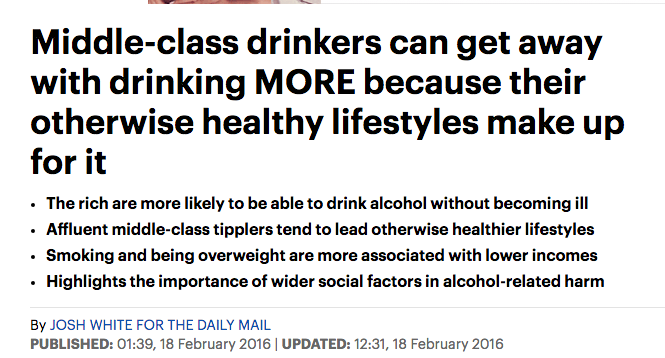 In 2016, the Mail told readers: “Middle-class drinkers can get away with drinking MORE because their otherwise healthy lifestyles make up for it.” Adding: “Wealthier drinkers are less likely to smoke, be overweight and have a poor diet – traits more associated with the lower-income demographic.” Today Ian Duncan Smith, the Tory MP, says: “Part of impoverished adults drinking less is that they do not have the cash to spend on it.” The other part being, presumably, that huge taxes on drink affect the poor more than the wealthy. He doesn’t mention that. He also doesn’t mention why politicians of all stripes want to clamp down on cheap booze with minimum pricing (see: sin tax for people seen as too poor, too thick and too dependent to know what’s best for ’em). But he does say: “This is not in the report but my own experience is that where people are drinking or taking drugs in poverty, it is at a very serious addictive levels. For the middle-classes, they are holding down a job and doing what’s expected of them.” Which is to say: paying more taxes. It’s hard to work out what the point of all this bilge is. Perhaps it’s just a prelude to tax rises, moves to hike the price of booze for our own good – even if it it’s not doing the biggest payers any harm.